Which campaigns are driving the best visitors to my website? The question of how to measure the effectiveness of marketing campaigns is as old as the marketing department itself. With FullStory, you can quickly and easily compare overall effectiveness of various campaigns in chart view, while having concrete data behind every graph. Add qualitative data to your quantitative data, and instantly verify that the numbers are accurate by viewing the underlying sessions. While viewing the Everyone segment, click on the 'View Searchies' button. Click into a bar on the Searchie to filter your search to that particular parameter. Watch a series of sessions to see how people interact with your landing page. Repeat these steps for other campaigns and compare your qualitative notes across UTMs. Report to your boss how engaged targets became with the landing content. Should we continue advertising on XYZ.com? 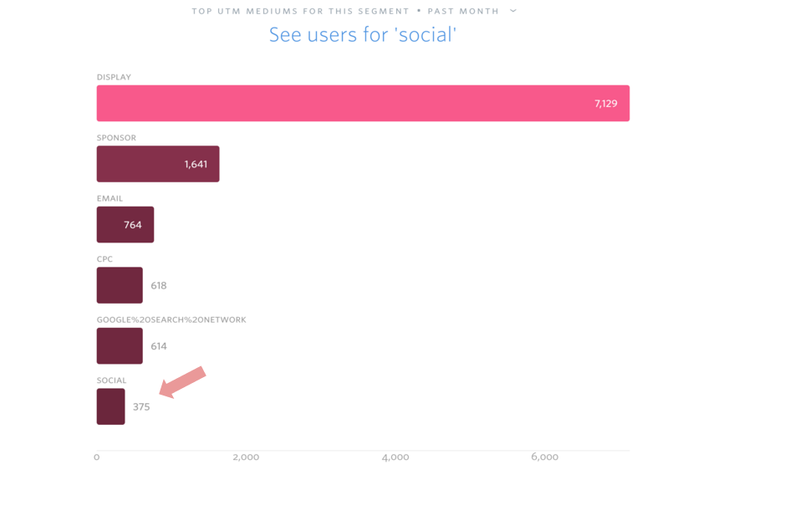 Are sign ups from Twitter more likely to churn? Where should I spend my additional advertising budget?